A beautiful set of a multi-coloured Freshwater pearl necklace and bracelet, chosen for their quality and the pastel shades of summer, completed with an 18 carat yellow gold clasp. 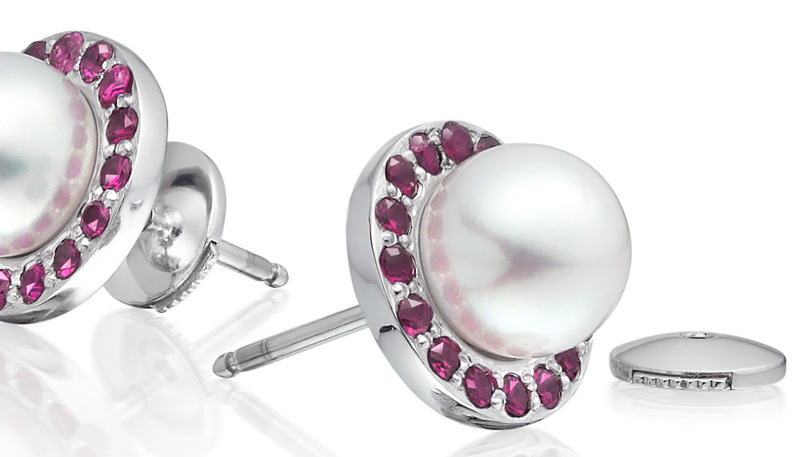 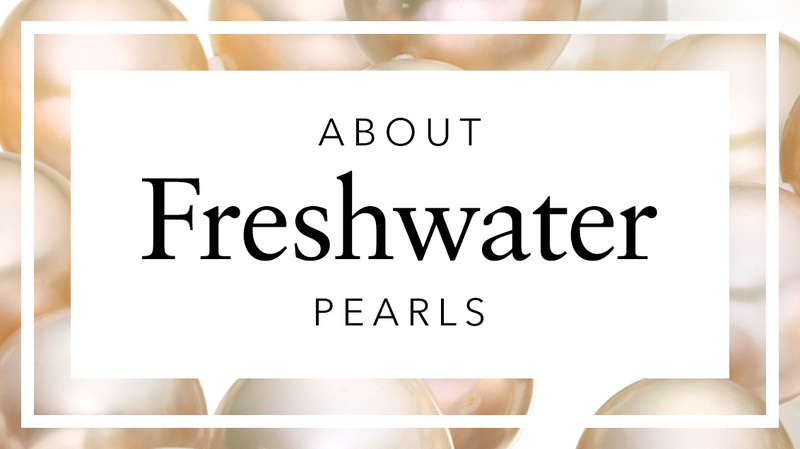 The soft colours of the Freshwater pearls are natural, without treatment for colour. The pearls are cultured in China in freshwater mussels and are chosen by us for their excellent shine and lustre. 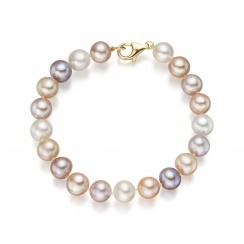 The necklace and bracelet are made with pearls measuring 8.5-9.5mm diameter. 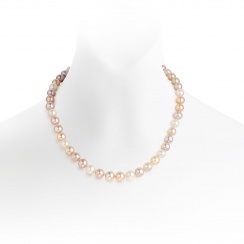 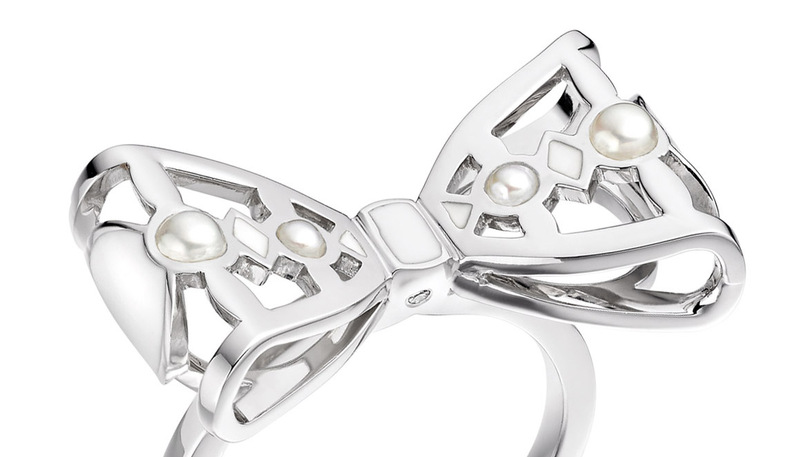 This is a popular size of pearl with a contemporary and luxurious style. 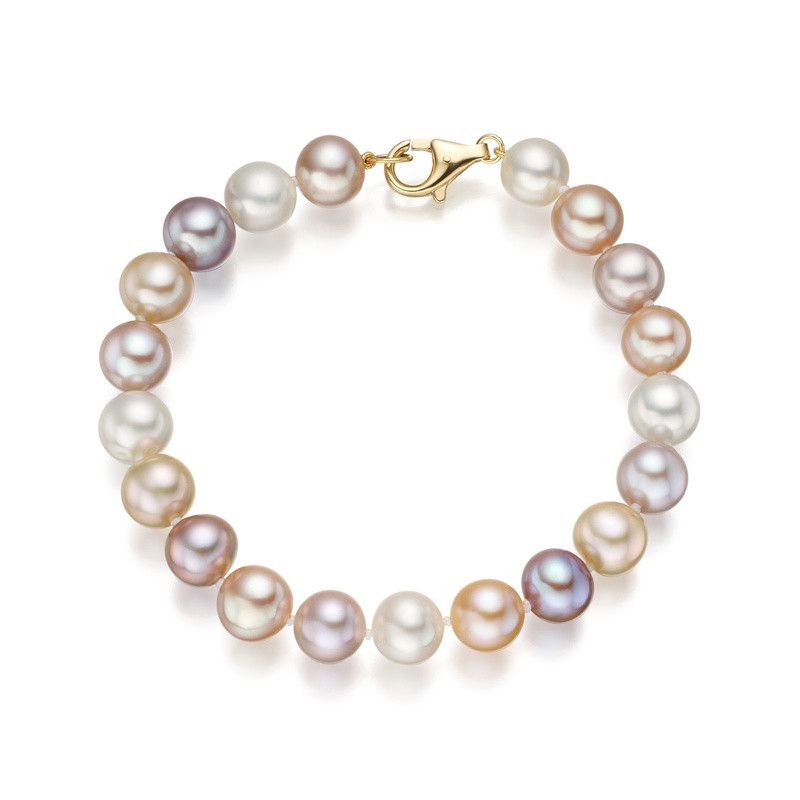 The necklace and bracelet can be worn in the daytime or in the evening as an alternative to wearing more traditional white pearls. 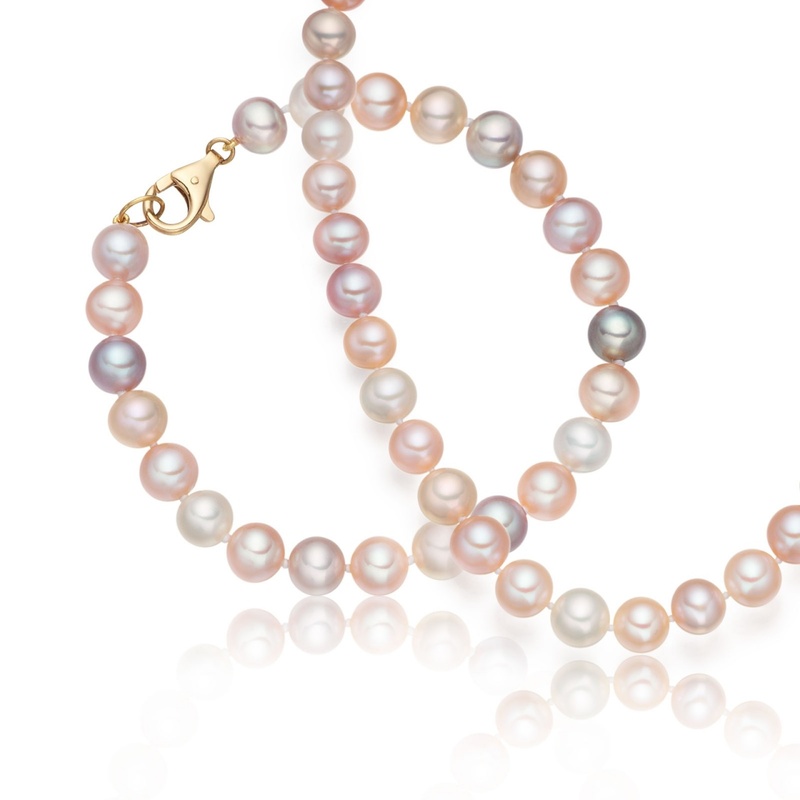 Both the necklace and the bracelet are strung by hand and individually knotted for safety between each pearl. 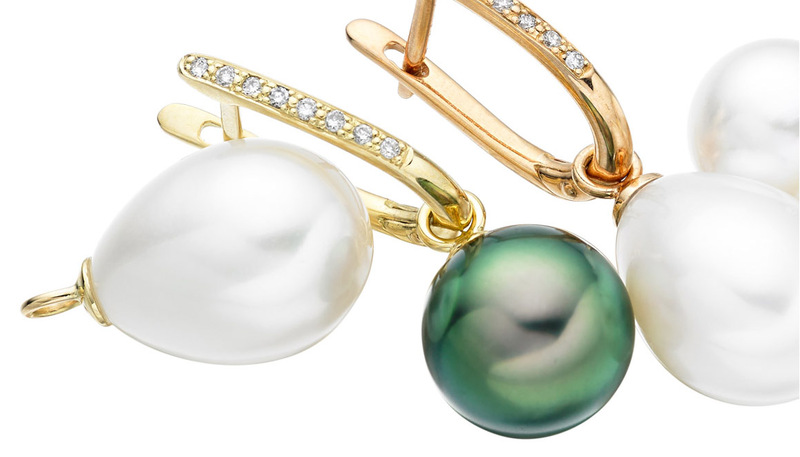 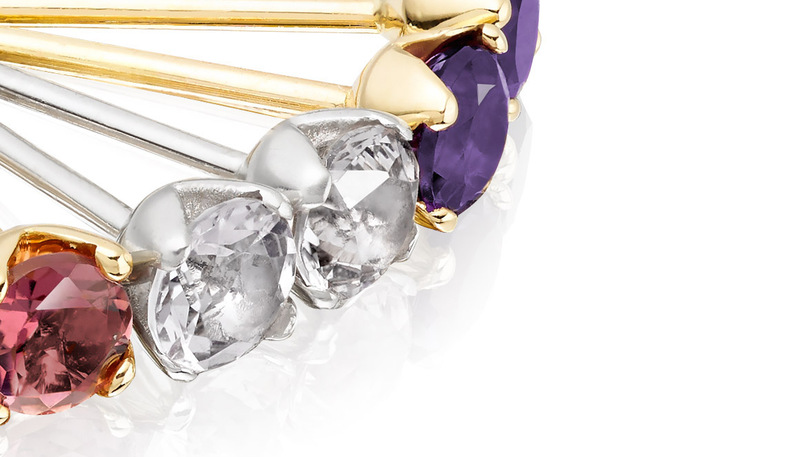 The jewellery is finished with matching 18 carat yellow gold clasps that are easy to fasten.